Seduction is the new NARS blush for Spring 2013 and it joins the permanent line. 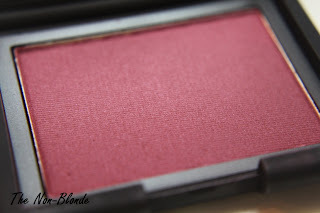 There's been a lot of buzz around this color and rightly so-- the raspberry wine shade is beautiful, intensely pigmented, and has a lovely satin finish with no glitter particles. The texture is soft and blendable without falling apart. I swatched with a flat brush (Louise Young LY11) and used it to lightly blend Seduction on my arm. 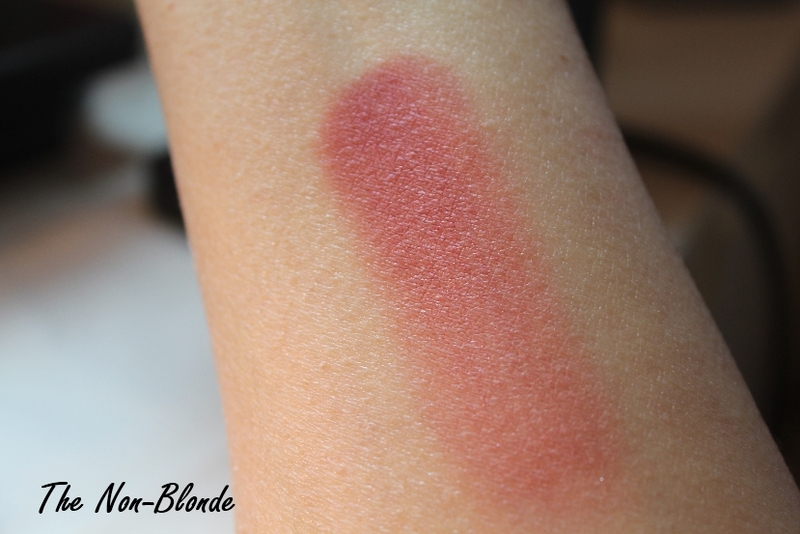 The top of the swatch is straight on application and fully saturated, the bottom part of the swatch is lightly blended, and you can see how pretty it looks. Bottom Line: it'll be a classic. NARS Seduction Blush for Spring 2013 ($28) will be available starting tomorrow on narscosmetics.com. The products for this review was sent by NARS PR. Would you recommend this to someone who already owns Outlaw and Mounia? Seduction is so gorgeous but I try to avoid similar colors unless they're simply too pretty and/or too well formulated to pass up. Thank you in advance! I own neither, so I can't say for sure. I can tell you that the texture is better than Sin. As far as color goes, I'd say that if one already owns Chanel Plum Attraction they can skip Seduction. Ditto for Lancome Plum Noir (which I don't have. I only have the softer Aplum). I really like it, I don't own anything similar in my stash! Oh god I need this! Your swatch and inimitable opinion has sold me once again. This is such a beautiful color, a must have in my opinion. 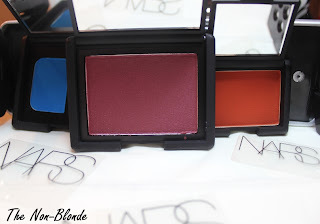 So as an avid fan of NARS, I had to try Seduction. As a woman of color, in the pan, it looks EXACTLY like the color I was in search of. A dark wine berry color. 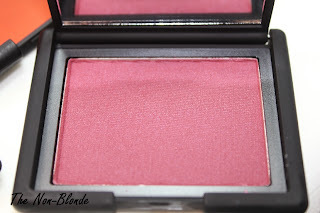 I purchased it, got it today...and yes in the pan it looks stellar, but on me it looks PINK! Almost fuchsia! I am surprised because Im thinking if it would look dark on anyone it would look dark on me, so I ask one of my colleagues to try it. She is white, dark brown hair, light olive skin. She puts it on and it looks stunning on her. I ask another colleague to put it on. She is VERY very very pale, but recently dyed her blonde hair dark brown. Puts it on, and it doesnt look AS dark on her as it looks on my first test subject, but it still looks like a berry color. On me it looks straight up pink. Back to the store it goes, but what a bummer! The ones I own are not close the color I was in search of, which I thought Seduction would fill that void, but oh well! The search continues!